The worldwide system that tracks the origin of a good glass of wine from the château to the consumers, is based on the offset printed seal (bottle closure) made from aluminium foil in which the “taggant” is incorporated. The taggant is a chemical registration, emitting a specific unique electro-optically signal linked to a particular brand (in this case eProvenance). The system, designed by eProvence, comprises three components: a semi-active RFID tag placed in the shipping box to record temperatures throughout the distribution chain, a passive RFID tag with a unique code in the bottom of the bottle for tracking, stock management and discouraging pilferage; and a proprietary, and a tamper-proof neck seal with a covert code (deveoped by InkSure Technologies Inc) applied at the base of the capsule to authenticate the wine inside the bottle and thwart counterfeiters. InkSure Technologies Inc. is a leading supplier of covert machine-readable security solutions (CMRT) for the detection of counterfeiting, fraud and abuse. Together with eProvenance LLC, this system is introduced in the market for exclusive wines. 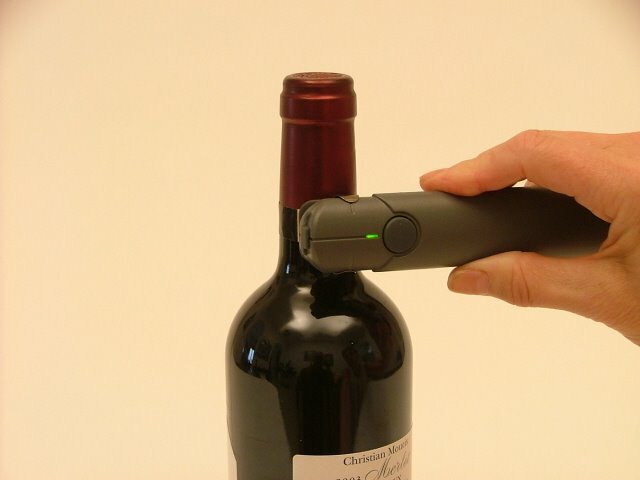 InkSure adapted the security ink to this market and developed handheld readers, which form an integral part of the eProvenance system to address the growing counterfeiting problems within the fine wine market. The printing is done by George Schmitt & Co. In addition to authenticating the wine, the system monitors and records the storage temperature, while the origin of each bottle in stored a secure online database. 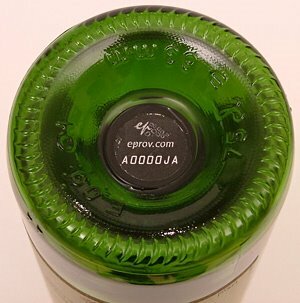 With the eProvenance system, the bottle is secured, the content is secured and the conduct of the temperature maintained during the distribution chain monitored. The first application will take place in nine vineyards in the Bordeaux region, including Chateau Bauduc, Chateau Lynch Bages, Chateau Margaux, Chateau Palmer. The applied patent involves the integral system, with a fast, encrypted, online database of the unique bottle, the shipping box, and the identification numbers in the capsule, coupled with the authentic data of the chateau, the shipment data and temperature development, which together create the electronic originality data for each bottle.